“Sin boldly” Wrote Martin Luther to his friend and theological colleague Philip Melanchton at the beginning of reformation. The very fact that this statement remains provocative is a testament that this reformation and its spiritual liberation are still ongoing and greatly needed. “Sin boldly” Martin Luther wrote and he was subverting the very essence of the false medieval religious system. The medieval church skillfully used feelings of shame and guilt in combination with the religious category of sin, to trap, manipulate, enslave and exploit people on a massive scale (entire continents). This truly totalitarian system surrounded individuals from birth to death, at home and at work, in private and in public. It permeated huts of serfs but also (to a lesser extend) castles of nobility, prescribing what to feel, what to think, what was allowed and what was not. “Sin boldly” wrote Martin Luther although he was born to and largely remained a son of this medieval superstitious world. Early in his life he took this neurotic religious world-view seriously and tried to comply. He employed all his German sincerity and thoroughness, but to no avail; he could not measure up. In fact, no one could; that was exactly how this whole spiritual system of enslavement was intentionally built. Then something snapped in him. Luther, by that time a trained biblical scholar, realized the artificial nature of this system. He started to unmask it. Reformation, the process of spiritual liberation, had started. 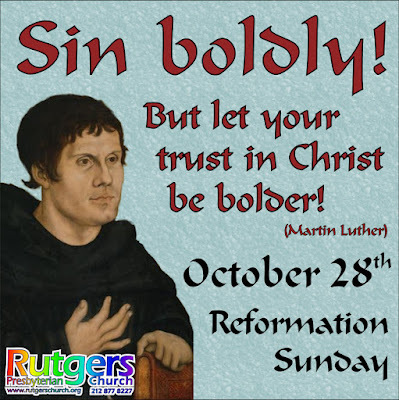 “Sin Boldly” Martin Luther wrote thus starting reformation. But it is an unfinished quest. Until this day this statement makes religious people uncomfortable! It is because across the religious spectrum, from conservative Evangelicals to the most Liberal social activists, religion was reduced into religiously-justified morality. It is so particularly in America with its knack for pragmatism even in matters of religion. Religious people of different stripes apply religious morality from different angles, with different agendas and with different goals. At the end, conservative as well as liberal moralists want to improve or correct either individual or collective behaviour. “Sin Boldly” wrote Martin Luther, because he wanted to liberate people from enslaving obsessive-compulsive religiosity. People are uncomfortable because they are still under the spell of the ritualistic, mercantile religion which Sigmund Freud so aptly described as an organized collective neurosis. This critique of religion is particularly suitable for any church which forgets about the true message of Jesus and his liberating power. God loves us, we do not deserve it in any way, it is a free gift of grace. Only if we are liberated, can we rejoice in divine grace. “Sin boldly, but believe and rejoice in Christ even more boldly!” There is a diametrical difference between guilt-ridden religion founded in fear and joyful faith rooted in divine grace. 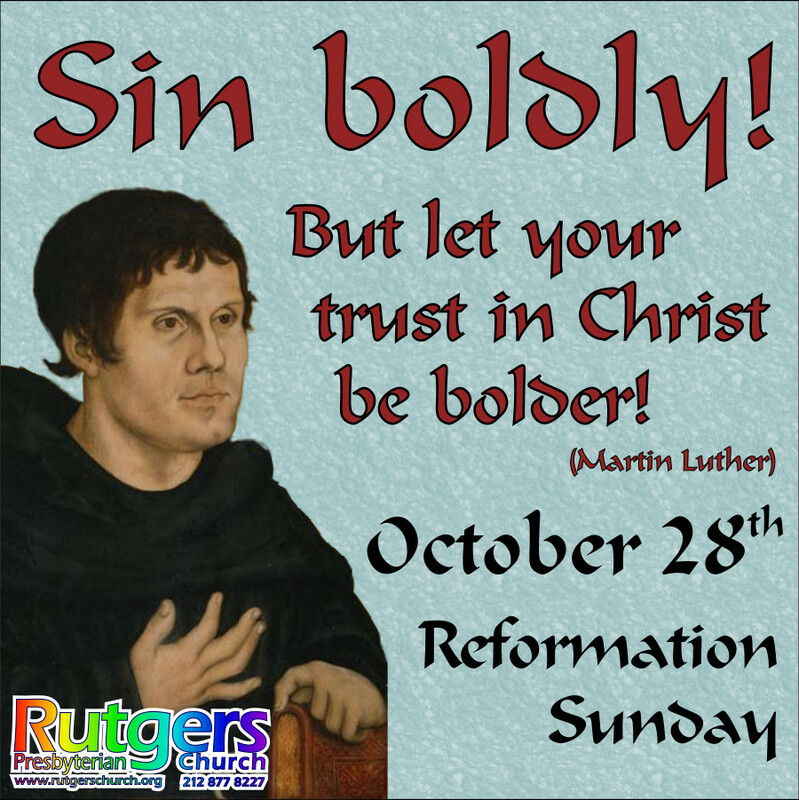 Come this Sunday to celebrate the ongoing Reformation, come to celebrate joyful faith. I am convinced that we have to liberate Jesus, his apostles and our faith from centuries of stiff and stilted religiosity. That rigid, hyper-religious Jesus is unreal and unbelievable. Take for instance the end of the gospel reading for this Sunday (Mark 10:16). Standard hyper-religious biblical translations present something like this: And he took children up in his arms, laid his hands on them, and blessed them. What kind of sad religious characters could possibly perpetrate such translation? They probably never even notice babies not to mention cradle some in their arms. Or perhaps they did, but then, when it came to church, religion and faith, they divorced themselves from their gentler-selves and they committed this atrocious translation. Unfortunately by the same token such translating made Jesus look like strange religious monster devoid of normal human emotions just conducting some strange religious rituals. How much better it is to respect the context and search for meaning rather than mechanically translating individual words. How much better it is to use also our senses and emotions. Then we can end up with a normal and believable account. Jesus took children in his arms, cuddled them and made them laugh. This is just one sentence liberated from the hypertrophic religiosity and what a difference it makes! Finally, we can see Jesus in all his tender, caring divine humanity. And it is not only easier and nicer to read, it is also a more accurate translation. And here is a paragraph for those who are interested in linguistic (phonetic) evidence. The Greek word ευλογεω (EULOGEŌ) did mean “to bless”. But every Greek person would hear in it “speaking kindly, positively, nicely”. In addition, the oldest manuscripts attached to this verb uniquely a causative prefix κατα (KATA). Thus only with a little bit of license we can translate “Jesus made them happy, made them laugh.” A similar situation is repeated with the word for “putting hands down upon” τιθημι/τιθηναι (TITHĒMI/TITHĒNAI). There is a substantive homophone (same sounding word) and homograph (same written word) τιθηνη (TITHĒNĒ) meaning a nurse or a nanny. Although this word is from a different verbal root θαομαι (THAOMAI), in the given context of little babies the phonetic proximity of this word can hardly go unnoticed and unappreciated. That is the reason for our “cuddly” twist. This Sunday morning I invite you to Rutgers Church to meet Jesus in the Divine Nursery. Is monotheism bound to be intolerant, insensitive and primitivistic? This Sunday afternoon we filled our sanctuary with dogs and cats who came for the blessing of the animals. It is just one parallelism of a beautiful creation hymn from the end of the book of Job 38+39. This whole hymn celebrates a complex balance within creation and a persistent intricate interconectedness between creation and creator. This verse represents a stark religious alternative to the later dogmatic and intolerant form of monotheistic religion which soon followed and overwhelmed and to a large extent took over first Judaism and later Christianity and Islam. Josephus claims to quote from a work of Hecataeus (Hecateus of Abdera). But this claim is dubious. 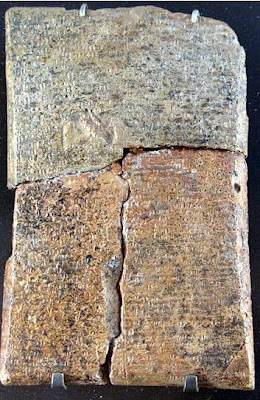 Hecataeus is a known ancient author, but this particular work did not survive, and was preserved only in Josephus’ quotations. There are also serious academic doubts about the veracity of Josephus’ quotation claim; some say Josephus quoted from Jewish-edited excerpts, others claim the story was from the works of Manetho. It is possible he quoted some kind of a falsum (fraud) written in the Jewish community of ancient Alexandria. The source of this anecdote is uncertain and dubious, nevertheless it is quoted approvingly by our ancient author Josephus. What does it tell us about the author and his community? 1) Militarism and military power is accepted with approval. 2) Mercenary culture is a lived reality. 3) Divination is rejected using a demagogic argument by violence. 4) Subjectivity of animals is ridiculed, they are turned into objects. Militarism and selling out to dominant powers nicely fits with what is know about Josephus, his life and his community. I want to concentrate on the last two points. The story mocks ancient Hellenistic superstitiousness. Unfortunately it achieves its goal by using intellectual and logical dishonesty with serious and lasting consequences. Augury was just one of the many branches of ancient divination practices, which interpreted uninitiated (unprovoked), naturally occurring events. Another examples were teratomancy (interpretation of birth deformities of animals as well as people), astrology (interpretation of not only celestial objects, but also climactical events like circles around the sun or the moon), or different biological events (a fox seen in the city, a line of ants observed in the temple etc). The relationship between the divine source of the message, messengers carrying the information, means of communication and intended recipients were often diverse, unclear and complex. The divine realm and natural realm were perceived as interconnected and inseparable. Divination involved interpretation of tightly interwoven patterns and coincidences. In augury, for instance, birds were not autonomous free-willed subjects and as such they were not the source of the message - the message became manifest in their behaviour. Even in the most simplistic understanding of augury, birds were just messengers. In such a situation, killing the messenger does not disprove the message or this mode of communication. Just as killing all the roosters in a village would not postpone the next morning or disprove the connection between cockcrow and daybreak. The next morning will come silently and unannounced and soon there will be no eggs for breakfast even for the most zealous mechanical monotheist. Killing roosters does not prove anything except the violent narrow-mindedness of the killer. Similarly Josephus’ story achieves its goal by radical simplification and distortion of the context. It uses a common and efficient technique of demagogy, it creates a caricature of its target and then mocks it. The unfortunate yet unavoidable consequence of this monotheistic demagoguery was the distortion of religion, distortion of human self understanding and unfortunate breakdown of the the human relationship to nature. Religion became mechanistic and dissociated from nature, humans assumed titanic features alienated from the context of nature, and nature itself becomes objectified. Thankfully the ancient biblical tradition (and for instance the medieval Franciscan sensitivity to creatures) show us viable non-dogmatic alternative. Most recently, the post-modern development of natural sciences, social sciences, and theological discourse offer us hope for starting a long process of re-balancing our existence and our religion. What is the role of a prophet? Irrespective of common understanding, true prophets are not in the business of foretelling the future nor are they in the business of moralising or being overly spiritual or religious. The primary role of a prophet is to speak the truth and call for justice, to do it especially to those in power and do it in season and especially out of season. In this respect, modern thinkers like Friedrich Nietzsche, Max Weber or Karl Marx got it in my opinion wrong when they theorized about origins of slavish morality, religion of the suppressed and postulated biblical religion as an spiritual/religious escape of downtrodden and underprivileged. I believe that thought-provoking German egyptologist and anthropologist Jan Assmann got it right when he maintained that the biblical call for justice actually originated in the Ancient Near Eastern wisdom tradition. He is right to trace the call for justice to the ideal of a wise ruler. I myself can provide examples from the area of my intellectual interest - pre-biblical Ugaritic literature (in this case the epics of Keret and Aqhat). The prophetic (and generally Biblical) call for political and social justice, for protection of the vulnerable, poor and the weak, was not and is not a religiously cloaked whining from the "losers" of the world. From time immemorial, it has been a well established and age tested rule of good governance. Exploitation of the poor and tax cuts for the rich is shortsighted and eventually self defeating. The growing social gap within the society and the neglect of the vulnerable in the end does not serve anyone--not even powerful and rich. Plutocracy combined with egotism and nepotism are like an aggressive corrosion, they have the potential to take down the whole societal structure including the rich and powerful. Come this Sunday and hear a biblical prophet calling for justice and telling the truth to those in power! On this World communion Sunday catch glimpses and celebrate sparks of something different, something harmonious, something arriving, something of hope. 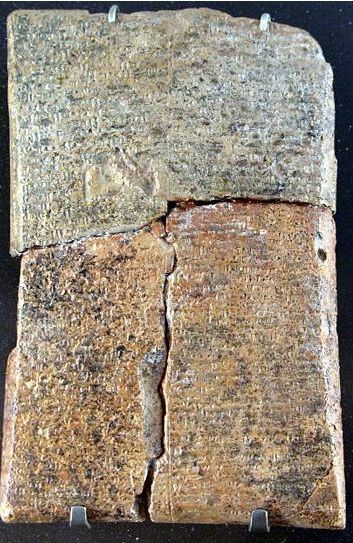 Cuneiform tablet of the Epos of Aqhat from Ugarit KTU 1.19.